A lot of people just don't see anything wrong with casual copyright infringement. Generally speaking, most people conform to the dictates of the law because the law proscribes bad behavior: don't kill, don't steal, don't set stuff on fire if it doesn't belong to you, that sort of thing. But the effort to lump file-sharing into the "thou shalt not" pile through the imposition of new laws and harsh criminal penalties is proving to be a tougher sell, particularly among younger people. The Cybernorms research project at the Lund University in Sweden has found that after a "moderate drop" in the rate of piracy among Swedes aged 15 to 25 in 2009 following the implementation of the Intellectual Property Rights Enforcement Directive, rates have stayed relatively flat at around 60 percent. The reason, according to researcher Marcin de Kaminski, is that young people don't actually see anything wrong with piracy. "As a part of our research regarding cybernorms we try to understand and describe informal social control," he said. "Our results show that young people feel no pressure from neighbors, friends, relatives, teachers etc. 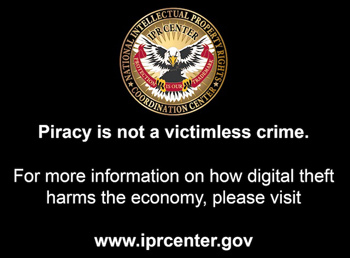 to refrain from file sharing. A higher degree of pressure or social control would most possibly have a clear impact on habits and practices regarding file sharing." The number of people who take part in file-sharing on a daily basis has actually risen slightly, from 18 percent in September 2009 to 20 percent in January 2012, and the biggest effect of the criminalization crackdown appears to be a rise in the use of anonymizing services: over the same period, the number of people using virtual private networks to mask their activities has risen by 40 percent. "Without support for repressive efforts in social norms the effects tend to result in a feeling of increased risk or danger - rather than [the activity being repressed] actually being considered wrong," Kaminski added. Laws can change, in other words, but until attitudes fall in line, not much else will.